Here is a new gorgeous 72″ x 54″ canvas we stretched for local artist Louie Gong. It will be showing in his gallery in the Pike Place Market! 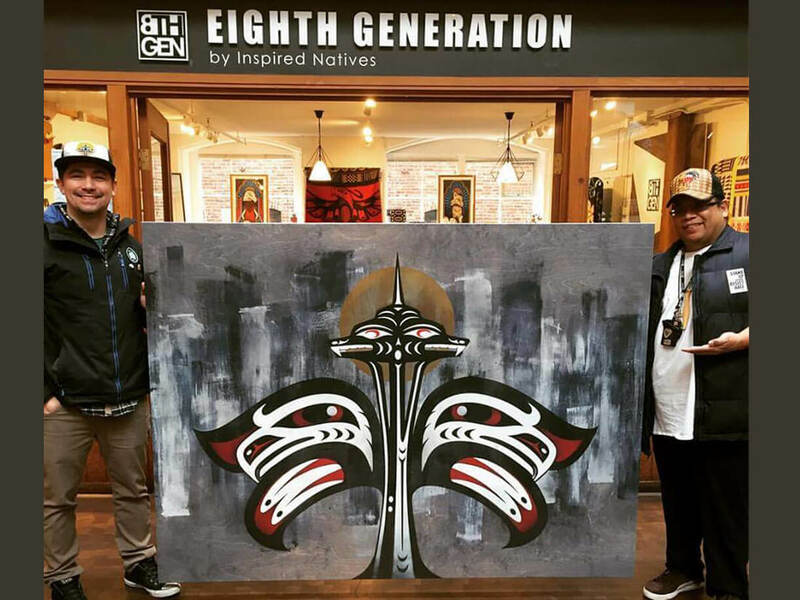 If you’re down at Pike Place, go check out his vibrant studio – Eighth Generation. To learn more about our canvas printing & stretching services, check out our Fine Art Canvas page. I’ve been coming here for prints of my art pieces, and they’ve been great. They’re extremely professional, and are as friendly as they come. 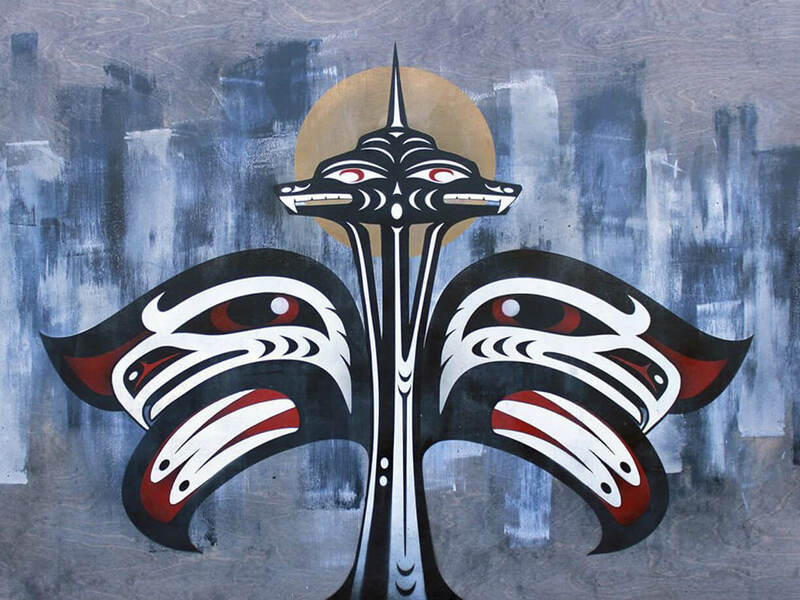 This design was created for the Seattle Indian Health Board’s Indigenous Cultures Day…then became the visual representation for the activism that let to Seattle establishing “Indigenous Peoples Day” in place of Columbus Day. Seattle Scanning Services | Drum Scanning with a purpose!